Much to the surprise of many, Ande Sri’s ‘Jaya Jaya He Telangana, Janani Jayakethanam’, which set the tone and tenor of the Telangana Movement, besides leaving an indelible mark on the hearts of people, has found no place in the textbooks released recently by the state government. 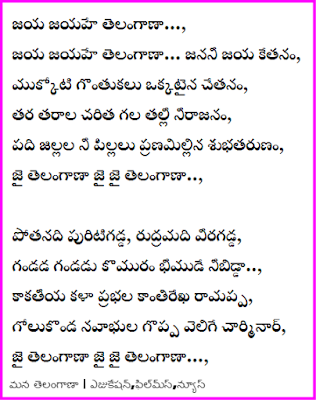 The song which was billed as the State song didn't even figure in the week-long Formation Day fiesta. The government had reportedly directed all the district administrations that only national anthem (Jana gana mana) and national song (Vandemataram) will be sung during the celebrations. At the height of the Telangana Movement, people and teachers encouraged children to sing ‘Jaya Jaya He Telangana’ replacing ‘Maa Telugu Thalliki Malle Poodanda’. Even today children in many a school in the State are used to sing it. It was not exaggeration to say that even the websites of Google and the Wikipedia reflect that the song is the new State’s official song. The Telangana state government is all set to finalise the state’s official flower, bird, animal and tree in a day or two. Proposals in this regard have been sent to Chief Minister K. Chandrasekhar Rao for approval. Official sources said the Indian roller (pala pitta) is being considered for state bird status, while the Indian bison (adavi dunna) may become the state animal. Mahua (ippa chettu) may be picked as the state tree and palash (modugu puvvu) may become the state flower. All these have cultural, traditional and historical significance in Telangana. However, it remains to be seen whether Mr Rao approves of the proposals or suggests changes. Mr Rao had laid special emphasis on selecting Telangana state’s official icons and symbols soon after he assumed charge on June 2. He held several meetings with TS government’s cultural advisor and retired IAS officer K.V. Ramana Chary and officials of the cultural department to shortlist the icons. The Telangana Government is in the process of developing tools to make governance accessible through mobile platforms. 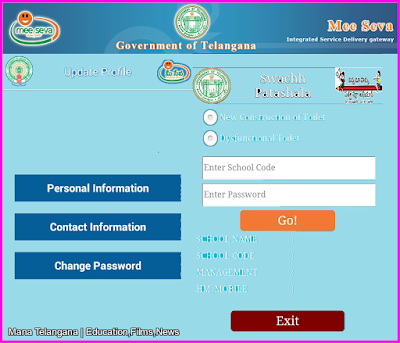 “We are trying to provide mobile interface to our Mee Seva (e-governance initiative). We will bring all our services on to the mobile platform. We will release mobile apps in the next four years,” Telangana IT Minister K Taraka Rama Rao has said. Addressing a conference on smart cities here on Monday, he said solutions for smart cities should keep in mind the Indian requirements. The conference was organised by The Indus Entrepreneurs (TiE) in association with Indian School of Business, Federation of Indian Chamber of Commerce and Industry and Telangana Government. The TiE is planning to organise a series of events keeping in view the smart city campaign launched by the Union Government. It will focus on Smart Health, Smart Energy, Smart Mobility, Smart Education, Smart Homes and Smart Environment, TiE (Hyderabad) President Safir Adeni said. 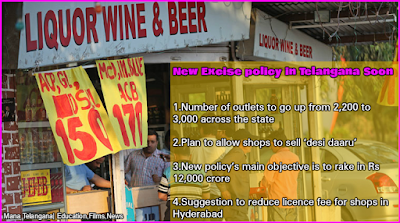 In view of increased alcohol consumption in villages and, with an eye on more revenues from the liquor sales, the Telangana state government had proposed to bring in a more flexible ‘ new Excise policy- 2015’ this year. Under the proposed policy, licensed wine shops would be opened on ‘demand’ across the state. Initially, the number of licensed liquor outlets would be increased to 3000 from the present 2200 and also allow the shops to sell ‘ desi daaru’ ( cheap liquor/ arrack). Anglo Indian MLA Elvis Stephenson who is scheduled to give his statement before the magistrate today, spoke for the first time on the cash-for-vote scam on Tuesday. 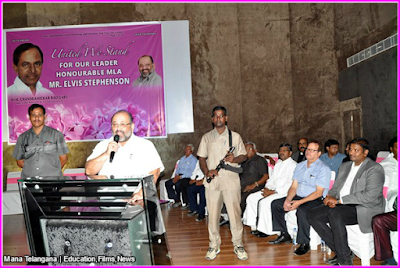 Speaking at the support meet held for him by the Anglo Indian Community in the city, Stephenson said that he knew what he was doing and he did that for the people of Telangana state. "I did it for the benefit of the state. If one Elvis dies there will be thousands like him," he added. The nominated MLA further said that he would work to strengthen the hands of Telangana Chief Minister K Chandrasekhara Rao. He thanked the entire community for supporting him.